The Pacific Fisheries Management Council has just announced the dates for our Salmon seasons this year. For the central coast from Cape Falcon to Humbug Mountain. Chinook from March 15 through October 31. Hatchery Mark Coho starts June 30 and runs through September 3 or to a quota of 35,000 Fish. 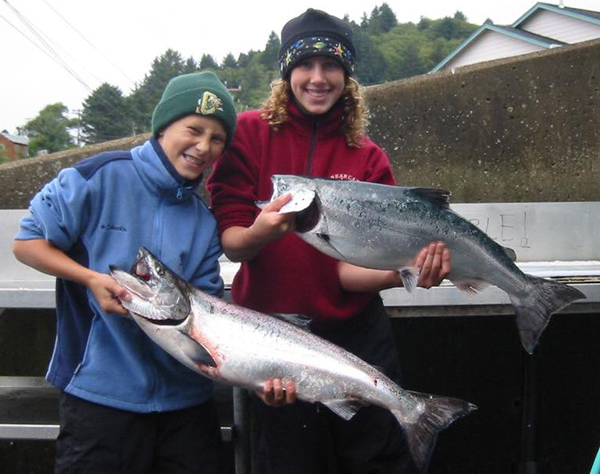 The Non-Selective Coho fishery opens September 7 and is open each Friday and Saturday through September 29 or until the quota of 3,500 fish are caught. Dockside Charters has a full fleet of fishing boats to serve your needs. Please call us at (541) 765-2545 to book your private charter or grab a few spots on an open boat.